Fill in your details in the form to complete the simple registration. 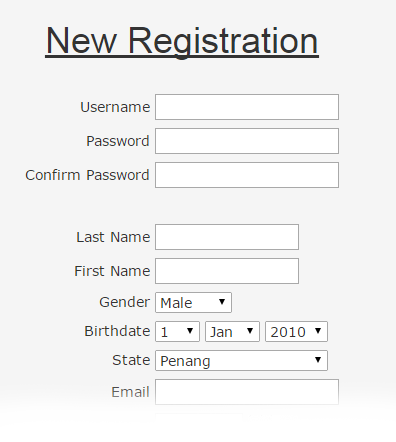 Upon registration, an email will be sent your email address. 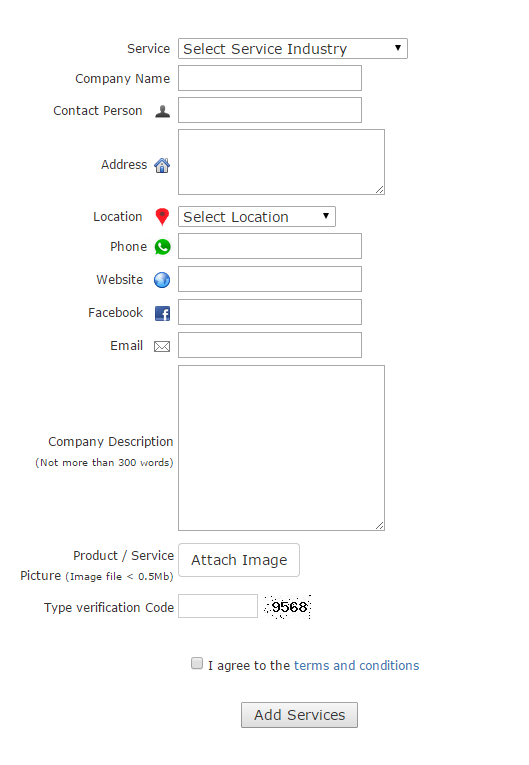 Proceed to the login page with your username and password to start advertising your services. 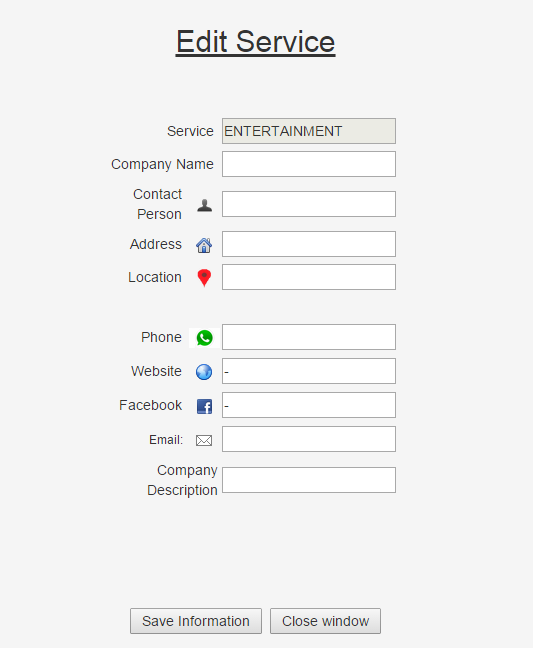 Upon login, users will require to fill in their service details. 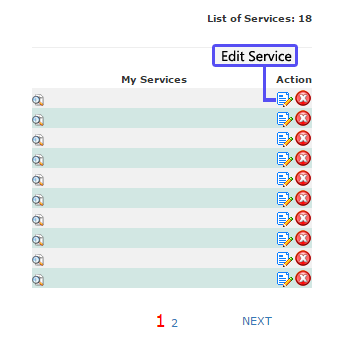 Click "Add Services" button to submit and advertise your service. Note: Understand the terms and conditions before advertising your services. To edit your advertised service, simply click the Image button (as shown below) on the registered company name to the edit the information. Edit your information in the Edit Service for any changes required and click "Save Information" button to save your information. 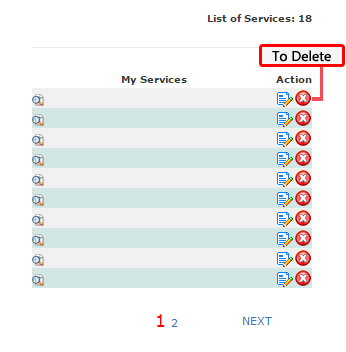 To delete your company/business, simply click the Delete button (as shown below) to delete the service. The service will be removed from the Directory List upon delete. 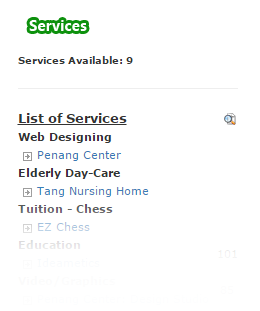 All services will be shown in the Directory List. To view any of the services, click on the link to view.